WOW! 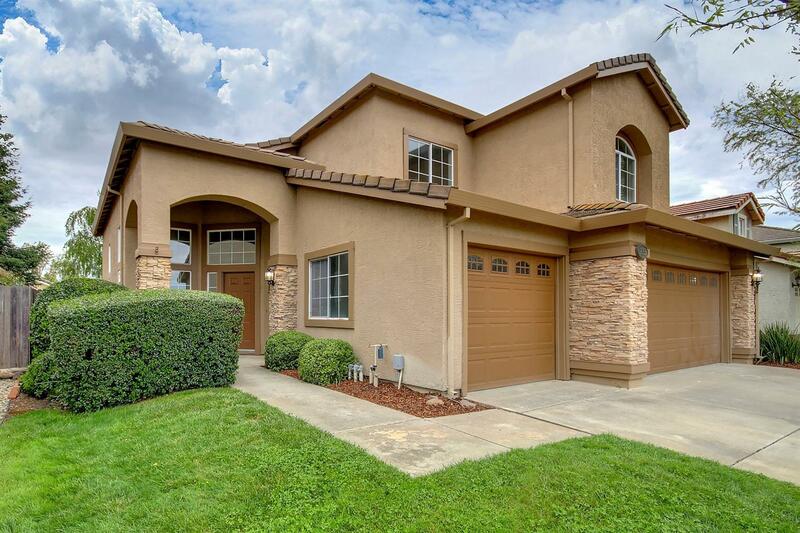 Beautifully remodeled 5 bedroom, 3 bath home in the Hampton Village area of Elk Grove. Luxury vinyl wood plank flooring in living room, dining room, family room, kitchen, hallways and bathrooms. New carpet in bedrooms and stairways. Nice kitchen with white cabinets granite counters, stainless sink and faucet, stainless appliances that include an over the range microwave, gas range and dishwasher. Other features include a work island, pantry closet, nook area and access to rear patio and yard. The master suite includes a nice sized bedroom area with vaulted ceiling, lighted ceiling fan and walk-in closet. The master bath has white cabinets, granite counters, updated lights, faucets, mirrors and sinks and a large tub and separate shower. Other features include multiple ceiling fans, granite in all baths, updated light fixtures and 2 inch faux white blinds throughout. Outside is beautifully landscaped with lots of greenery&a nice sized rear yard includes a patio and some citrus trees. Act fast!